Back in June, I was in Cypress Hills Interprovincial park on the Alberta/Saskatchewan border to research an upcoming column for Sky News magazine – a column (“Wilderness Explorer”) that you can now read and see imagery of in the current issue of the magazine, on news stands across Canada and on select large news stands in the U.S. 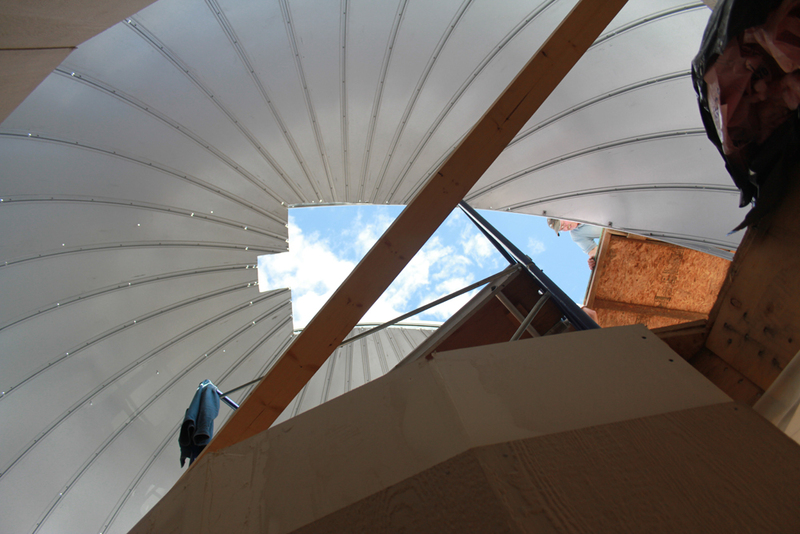 Though the observatory officially opened at the end of August, I thought it would be nifty to share some of the construction photos here. 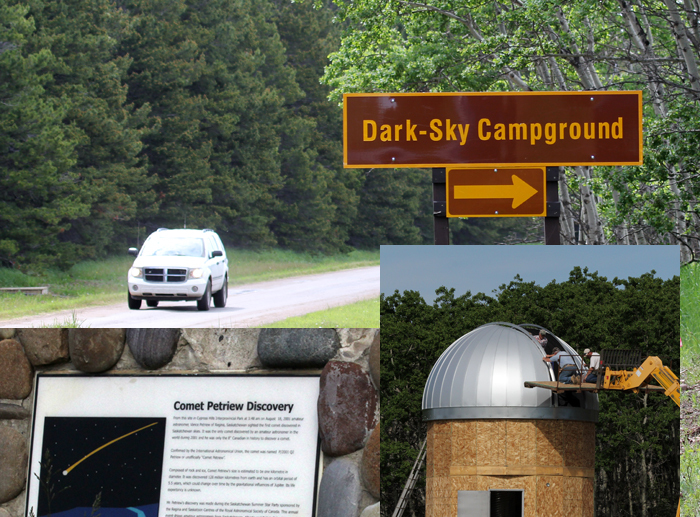 In these images, Friends of Cypress Hills Park head honcho – and mastermind of this project – Gerald Gartner helps work on and supervise the installation of the door on the dome of the observatory on their magnitude-7.5 observing campground.